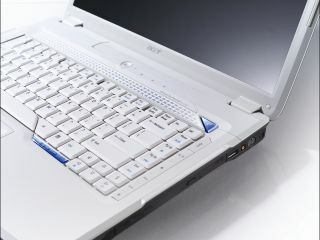 Sales of laptops topped those of desktop PCs for the first time ever in the US market in the third quarter of 2008. Laptops now hold a 55.2 per cent market share according to IDC data, finally overtaking the desktop, which has dominated the industry since computers were popularised. 9.5 million laptops were sold in the third quarter of the year, an 18 per cent growth – which is indicative of the steady rise of the likes of Asus and Samsung. "The consumer market continued to be the top driving factor in the notebook offensive but the commercial sector played a critical role too," said IDC Research Manager David Daoud. "The consumer market has long favoured notebooks, with mobile ratios exceeding the 70 per cent mark. So it is clear that the small and mid-markets, as well as the enterprise and public sector buyers, are seeing good value in mobility. "Looking ahead, while mobility will remain a leading growth factor, the economy will be a major wild card in the short to mid term. "Prolonged economic tension could have an adverse effect on the PC space leading to reduced growth, but the good news is that virtually every buyer considers PCs as must-have products and not a secondary wish-list items."